You are at:Home»Life»Community»Could Baidu’s Cross-age Facial Recognition AI Help End Child Abductions? Could Baidu’s Cross-age Facial Recognition AI Help End Child Abductions? 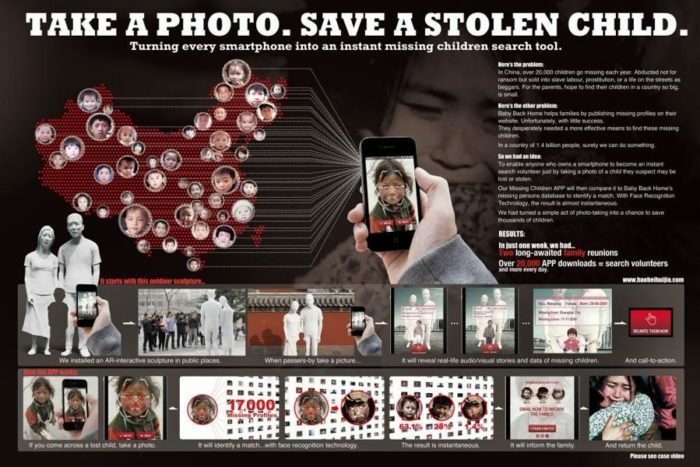 In China, it has been recorded that over 20,000 children go missing every year. Due to the large population, and the sometimes long distances that these children are displaced, it is very unlikely that these victims can find their way back. Some go years without finding their original families or if they were too young to remember, may never know that they had been abducted in the first place. Now, these victims have a new tool to help find their missing loved ones. 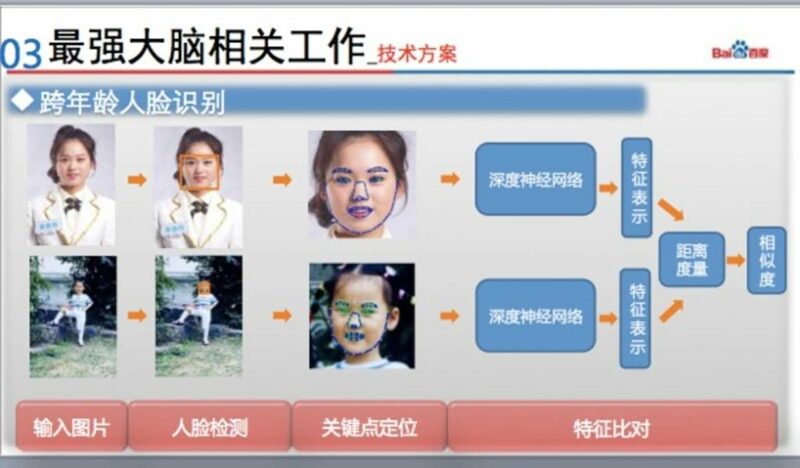 Baidu used their cross-age facial recognition AI to unite a man with the family he was taken from after 27 years. This software was able to comb through tens of thousands of images from the archives of Baobei Huijia, an organization that specializes in returning abducted children, (baobeihuijia.com) to reunite this 33-year-old man with his original family in Chongqing. The advanced artificial intelligence compares individual parts of the face, allowing it to account for the morphing of the child’s facial features such as eyes, nose, and mouth over the decades he was missing. One of the reasons this software is so accurate is that it uses over 200 million sample pictures from the Baidu database to improve the sensitivity of its programming, which is now operating at a 99% percent accuracy rate. A DNA test is later used so that the families can be sure they are related. Baobei Huijia (baobeihuijia.com) was created by a young mother, Baoyan Zhang from China’s Northeastern Jilin province in 2007. It was inspired by her own horrifying experience of when her son went missing for a whole day after going out with his grandfather one afternoon. Even though her son was returned later that evening, those grueling hours expecting the worst, nurtured a deep sympathy for families that weren’t so lucky. Since they established this platform on the web for missing children, they’ve helped return 1,891 people back to their original families. Along with a website (baobeihuijia.com), this organization also has an app for IOS and Android where you can directly upload pictures of people you encounter who may have suffered from such tragic circumstances. Learn more here by checking out the Baobei Huijia website.